I had planned to sleep in today. Having a late breakfast, taking my time deciding what to do. Then, at six thirty, I happened to look out of our bedroom window. The blinds were up, and the window was open, the whole world was there to see, from my bed. And what a world! Covered in white, only some rocks showing through the snow. Steely grey skies, except from a single beam from the morning sun, hitting the side of the mountain just as three small avalanches rolled down towards the lake. I grabbed my camera and got some pictures while still in my nightie. Not perfect from a technical view, but gorgeous for me being in the middle of it. The beauty made me wide awake, and as soon as the sun was hidden again I was out of bed and ready for the day. You see, we are at Finse. Finse, that is where Schackleton, Nansen and Scott trained for their expeditions. 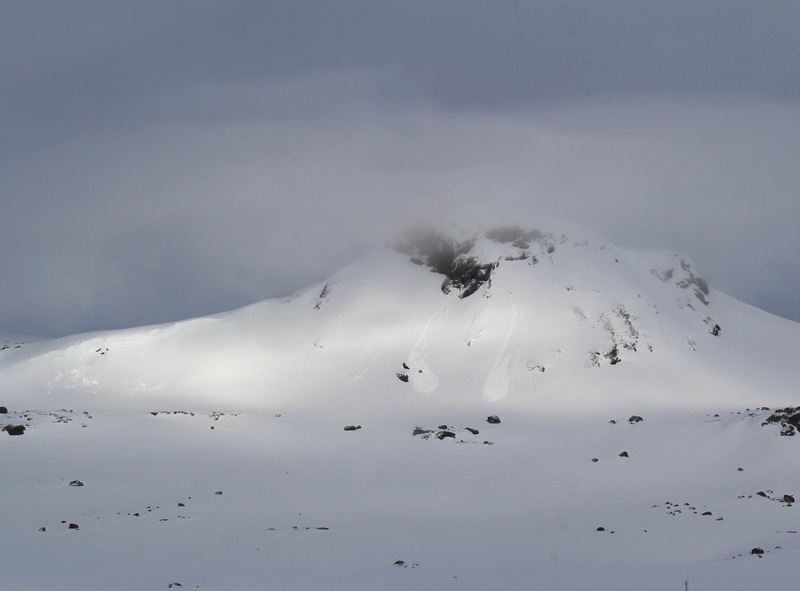 Finse, that is where snow kiters, glacier walkers, mountain skiers and terrain bikers form all the world love to challenge themselves. 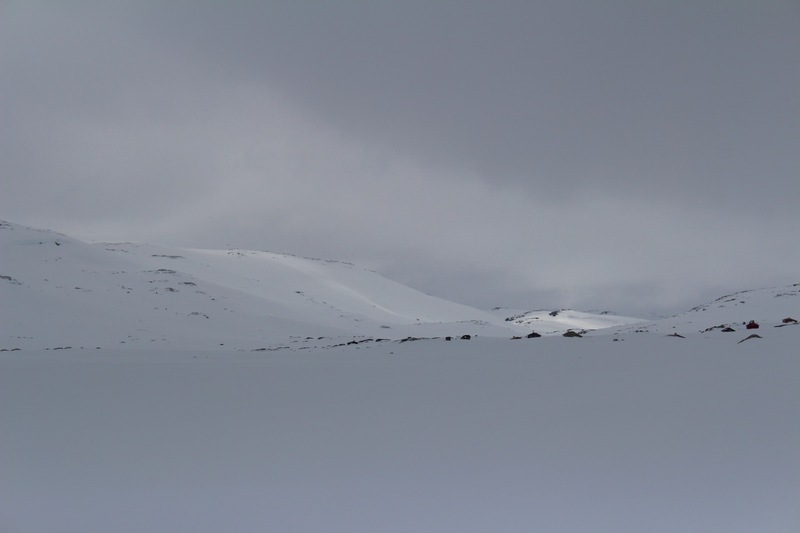 Finse, that is where film crews find solitude, ice and snow. As in Star wars, as just now with “Nobody wants the night” with Juliet Binoche and Gabriel Byrd, cast as Robert Peary and his love. Finse, the highest point on the Oslo-Bergen railway at 1222 m. above sea level, with an historic hotel from 1909, teeming with life and energy. At Finse where we are this week it is still winter, still enough winter to pretend it is Greenland in winter. I have spent the week visiting with friends from Santa Barbara. My husband and 30 other of his kind have been sharing insights and wisdom on computer security and coding. Today I rented mountain skis and went out in the white. even when overcast, the glare makes you wear sunglasses. Just now I am blogging as somebody else is preparing a delicious meal. Today have been happy trails, indeed.